With the new update “Season of the Drifter”, Destiny 2 has introduced many new features in the game like new weapons and activities. One of the new modes added in the game is The Reckoning. To play it, you’ll need Weak Synthesizer. If you don’t know how to get Weak Synthesizer or you have not heard its name before, don’t worry. 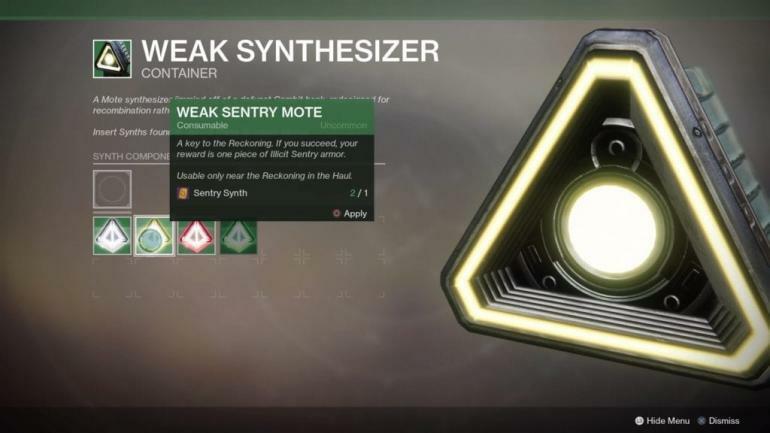 This article will guide you, how you can get Weak Synthesizer and what is it used for in Destiny 2: Season of the Drifter. For players who don’t know, to acquire a Weak Synthesizer you must first complete the User Testing quest. It is one of many things that is given at the start of “Season of the Drifter”. To begin your quest, look for the Drifter near Black Armor vendor. Finding the Drifter is not that difficult. After you found the Drifter, talk to him and acquire the User Testing quest. User Test quest will require you to complete a Prime Daily Bounty. These challenges are added later in the game and they can only be found in the new Gambit Prime mode. You don’t need to complete all of the quests, finishing one will do just fine. 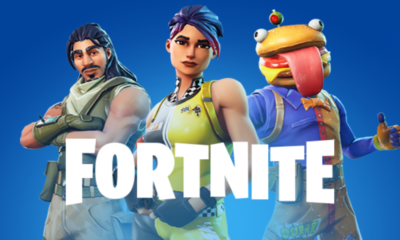 Although, you can try to complete the maximum number of challenges as each one gives you unique reward. After completing the task, go back to The Drifter and he will reward you with a Weak Synthesizer. Now some of you might already know that Reckoning is the new version of gambit in the game now and Weak Synthesizer will help you to enter the Reckoning. Only Weak Synthesizer won’t do you any good. You’re going to need a type of synth to activate The Reckoning. Synths can be acquired through completing Gambit Prime challenges or playing The Reckoning mode. Merge the synth with Weak Synthesizer to engineer a Weak Mote. Remember, mote will depend upon the type of synth you’ll be using. Another important thing to note that, designing a mote does not guarantee you gambit armor. After entering The Reckoning, you’ll have to complete a challenge. Failing to complete the task will cost you the mote. Completing the challenge will grant you a piece of Gambit armor. We hope you got gist of getting Weak Synthesizer in the game. If you still have questions regarding this topic, do ask us in the comments below.